Many people have discovered the surprising sleep benefits of this simple tonic. The Himalayan pink salt and raw honey mixture is said to provide the body with what it needs to enable you to sleep undisturbed. The sleep benefits of this tonic are believed to be the result of the trace minerals present in the salt and honey's contribution to glycogen storage in the liver, which is necessary for supporting good brain function for calm, restful sleep. 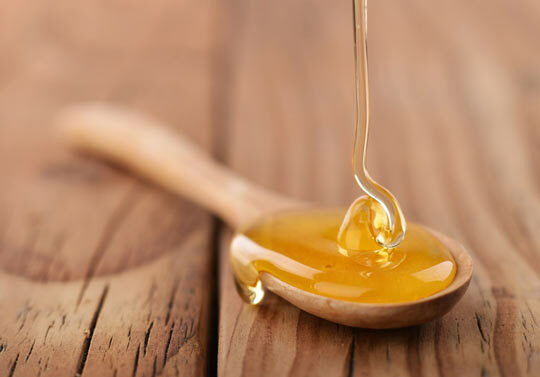 Mix the honey and salt together, and store it in a sealed glass jar. Before bed or anytime you wake up in the middle of the night and can't get back to sleep quickly, place a small spoonful of the mixture (about a teaspoon) under your tongue and allow it to dissolve. Note: You can make as much of this mixture as you like; just keep to the 5:1 ratio of honey to salt.